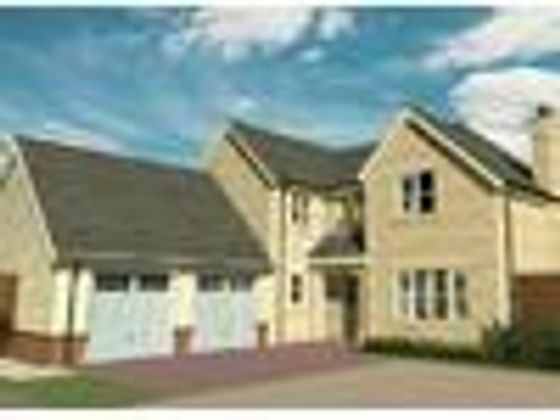 SUMMARY STONE BUILT NEW HOMES - Plot Six is a wonderful 5 bedroom family home, set within an exclusive development of only six, 4 & 5 bedroom stone-built new homes. Located on the outskirts of Deeping St James near Peterborough. Each home finished to a high-specification to offer light and spacious DESCRIPTION STONE BUILT NEW HOMES - Plot Six is a wonderful 5 bedroom family home, set within an exclusive development of only six, 4 & 5 bedroom stone-built new homes. Located on the outskirts of Deeping St James near Peterborough. Each home finished to a high-specification to offer light and spacious accommodation with a contemporary feel throughout. Prices from 485,000 to Pictures are for illustration only. INTERIOR FINISHES AND MANUFACTURERS MAY VARY SLIGHTLY BETWEEN PLOTS - Please contact our Land & New Homes department for full details, additional pictures and floorplans . T&C's apply - Please call or email our Castor branch Location Deeping St. James is a large village situated to the east of Market Deeping on the north bank of the River Welland. It lies seven miles to the north of Peterborough which offers a comprehensive range of retail opportunity along with extensive leisure and recreational activities, with a commute time of approxima 50 minutes into London King's Cross by high speed rail. The village is set next to the River Welland and in addition to the rural market town high street, offering a range of independent retailers the area hosts two major supermarkets and an industrial estate offering an array of services and industry to the local community. The Deepings are served well with three primary schools and one Secondary school, which also houses the Deepings Leisure Centre, including swimming pool. The village is well placed to give easy access to the A16, A15 and A1 road links. 1. MONEY LAUNDERING REGULATIONS: Intending purchasers will be asked to produce identification documentation at a later stage and we would ask for your co-operation in order that there will be no delay in agreeing the sale. 2. General: While we endeavour to make our sales particulars fair, accurate and reliable, they are only a general guide to the property and, accordingly, if there is any point which is of particular importance to you, please contact the office and we will be pleased to check the position for you, especially if you are contemplating travelling some distance to view the property. 3. Measurements: These approximate room sizes are only intended as general guidance. You must verify the dimensions carefully before ordering carpets or any built-in furniture. 4. Services: Please note we have not tested the services or any of the equipment or appliances in this property, accordingly we strongly advise prospective buyers to commission their own survey or service reports before finalising their offer to purchase. 5. THESE PARTICULARS ARE ISSUED IN GOOD FAITH BUT DO NOT CONSTITUTE REPRESENTATIONS OF FACT OR FORM PART OF ANY OFFER OR CONTRACT. THE MATTERS REFERRED TO IN THESE PARTICULARS SHOULD BE INDEPENDENTLY VERIFIED BY PROSPECTIVE BUYERS OR TENANTS. NEITHER SHARMAN QUINNEY NOR ANY OF ITS EMPLOYEES OR AGENTS HAS ANY AUTHORITY TO MAKE OR GIVE ANY REPRESENTATION OR WARRANTY WHATEVER IN RELATION TO THIS PROPERTY. Property advert Ref 4233999 - Is a property advert for marketing purposes only, the information has been supplied by the owner, estate agent or property portal and The House Shop makes no warranty as to the accuracy or completeness of the information. Furthermore we have no control over the adverts content. This property advertisement does not constitute property particulars. Please contact the advertiser to obtain any information regarding The Energy Performance Certificate regarding homes in England and Wales or Home Report for residential property in Scotland.